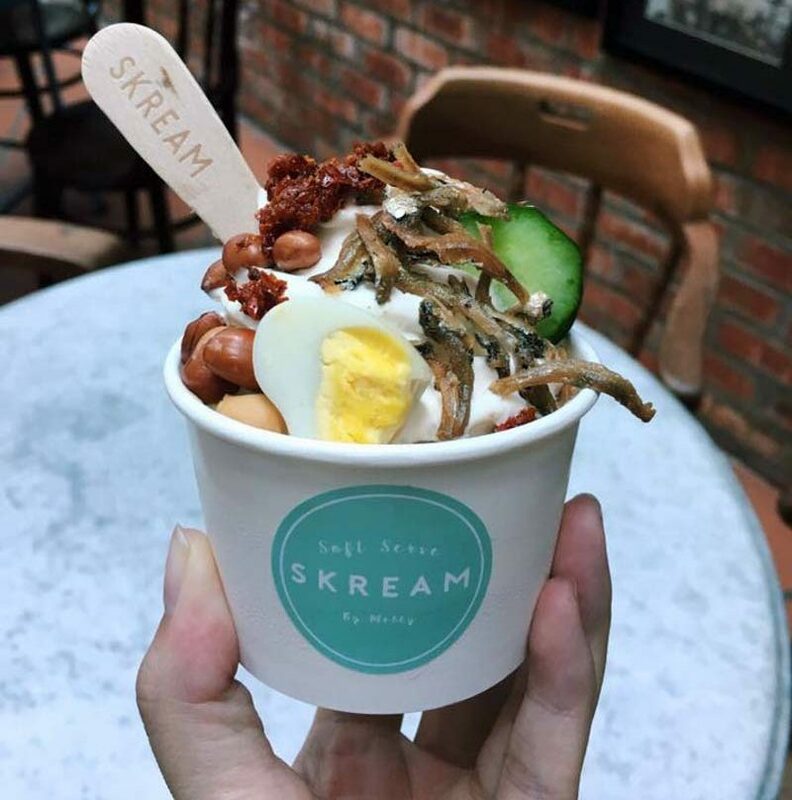 Skream Softserve in Diem Cafe (Alor Setar, Kedah) has introduced a new flavour of ice cream: Nasi Lemak Softserve. You’ve heard of savoury-sweet combinations before, but for an entire dish to be transformed into a dessert? This could possibly be the first of it’s kind. The ice cream flavour is the brainchild of 25-year-old, Melissa Tan, who wished to make her favourite dish into an ice cream that people will enjoy. This unique dessert costs RM10 (about S$3.20) and consists of a soft-serve flavoured with lemongrass and coconut milk to replicate the taste of the rice. The ice cream is served with various toppings such as anchovies (ikan bilis), cucumber, egg and sambal; what you’d typically find on your plate of Nasi Lemak. So far, the ice cream seems popular, with days that it even gets sold out before the shop closes. Whether you genuinely like it or are curious about its taste, do make a trip down and try this unorthodox ice cream flavour today!